Ryerson University student Kevin Arriola felt ostracised for wanting to start a men's issues group on campus. "Being pushed out, it doesn't feel great...I kind of saw my school as having turned its back on me," said fourth year Ryerson Student Kevin Arriola. In 2015, Arriola founded a Men's Issues Awareness Society and applied for official club status. 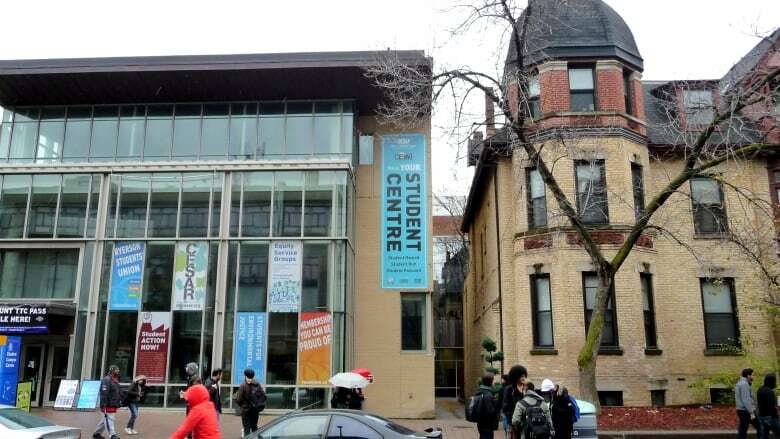 The Ryerson Students' Union (RSU) denied his application. The RSU also denied Arriola's appeal. When Out In The Open reached out to the RSU, we were told they are not commenting to media on the case. The case they were referring to is a lawsuit Arriola filed against the student union with the help of the Justice Centre for Constitutional Freedoms, a Calgary based non-profit that believes free speech in public institutions, including in universities, is eroding. Arriola claims RSU's decision was discriminatory and violated his right to freedom of expression and association. Out In The Open also reached out to The Canadian Federation of Students, of which the RSU is a member, for comment on the case. In an e-mail, they told us, "...[I]t is the Federation's policy position that we oppose campaigns, forums, groups, meetings or events whose purpose is to frighten, intimidate and/or target women and students on campus. Men's "Rights" or "Issues" Associations are known to provide environments for sexism, patriarchy and misogyny to manifest and be perpetuated on campus." Arriola defended himself by saying, "...[W]e were in contact with the Canadian Association for Equality. That was I think the biggest one that [RSU] had an issue with because they saw them as anti-feminist or misogynistic. I don't see it that way...They kind of just lumped us in with what I would consider a lot of good groups, a lot of non-women hating groups, and they lumped us in with these actual women hating groups." Arriola says he doesn't call himself a feminist but believes in women's rights. He also says everyone was welcome in his group. "Our group was denied as a way of protecting students from whatever we might say that might rub them the wrong way. I feel like campuses have sort of become these padded rooms where people can't exchange ideas anymore."